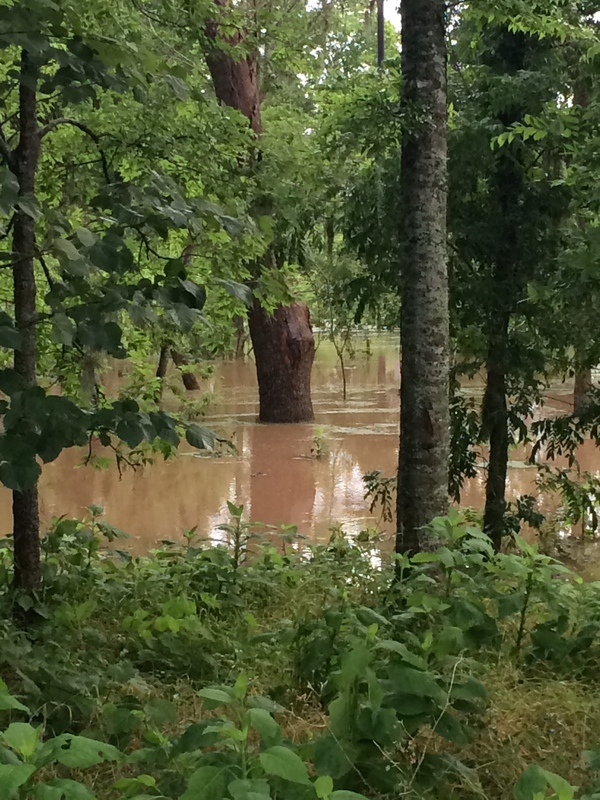 The rain has been relentless in my part of the world. 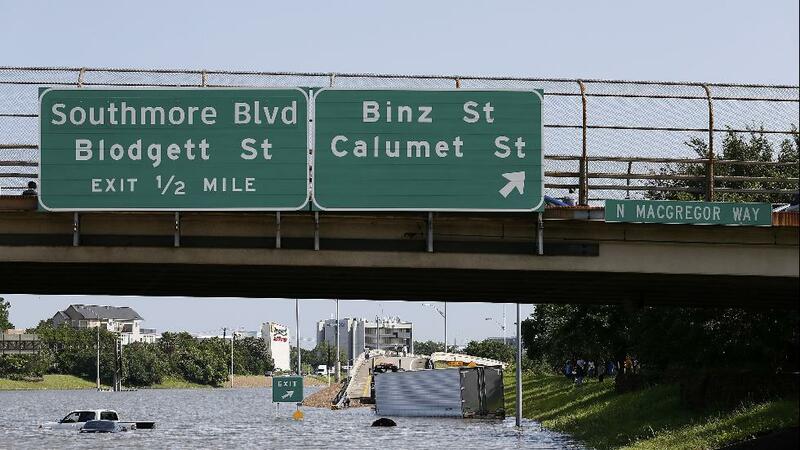 H-town has made national news this week, with photos of our soggy city and Mother Nature’s destruction relaying the misery. 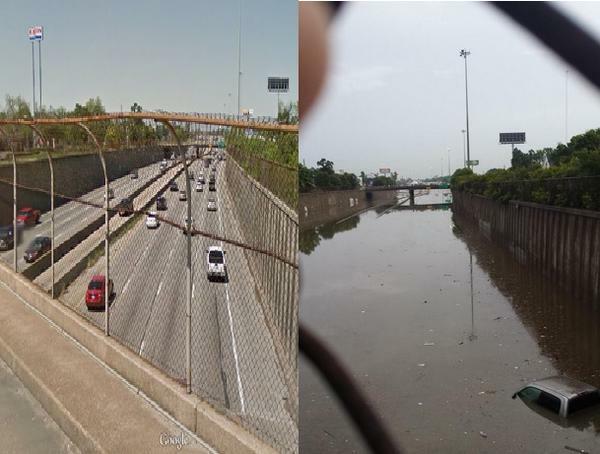 Here’s a shot comparing the same freeway before and after our epic rainfall. And another before-and-after shot in the Meyerland area (although the way the photographer arranged the photos, it’s an after-and-before shot). This photo was taken Tuesday morning near the Museum District. MacGregor is the street we exit to go to the Houston Zoo. It’s crazy weird seeing such familiar sites under so much water. The state climatologist (yes, that is a real job) estimates that Texas has received more than 7.5 inches of rain in May. 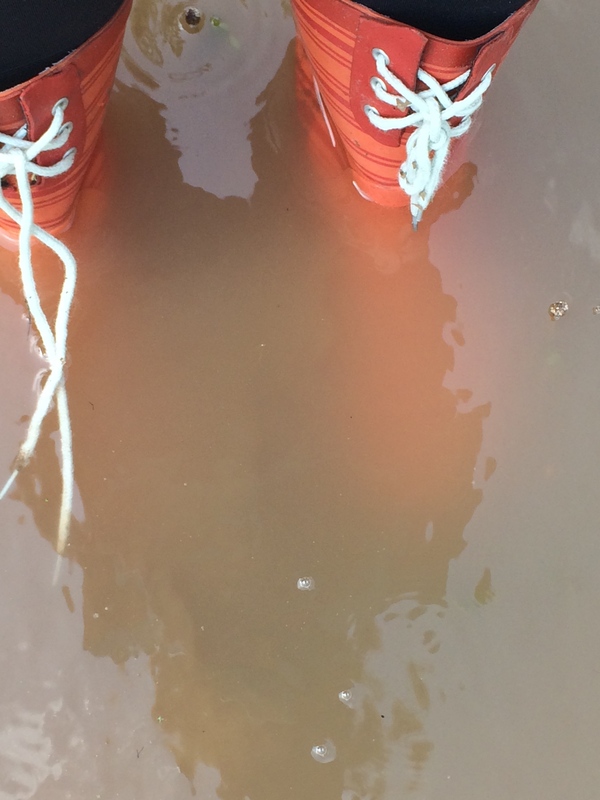 We haven’t seen rain like this since Hurricane Ike, which hit my city in 2008. In fact, the Houston Weather Service has not issued a flash flood emergency since Ike. Until this week. We have had rain in biblical proportions. 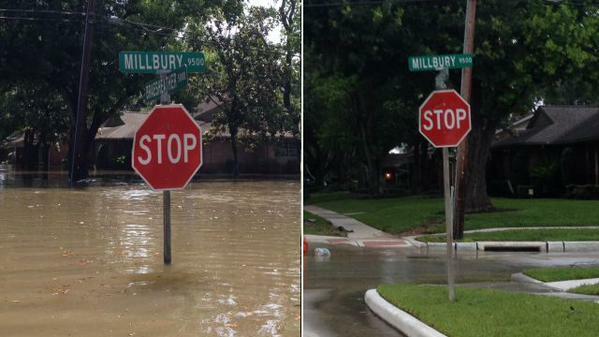 Some areas of Houston were drenched with 11 inches of rain Monday night and Tuesday morning. One of our local weather nerds equated that rainfall to 162 billions of gallons of water. In the suburb I call home, the aftermath of the storm was less dramatic. Thankfully. Our house backs up to a bayou that has a small stream running through it; normally we can’t see the water out our back windows. 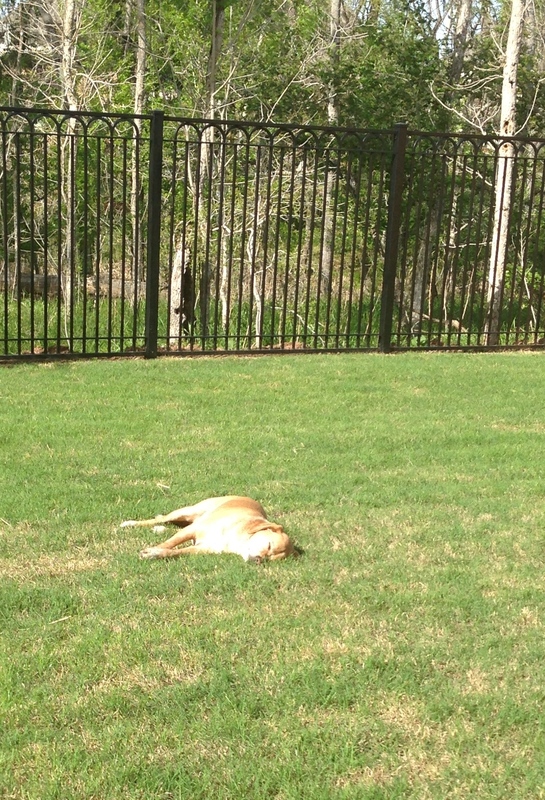 This is what it looks like on a normal day (sometimes you can even catch a glimpse of sweet Pedey, sunbathing or napping). And this is what the view over my back fence looked like on Tuesday. See that small gravel patch in the middle of the photo below? That’s the end of the little gravel road we use to cross the bayou. The rest of that little road is completely under water. 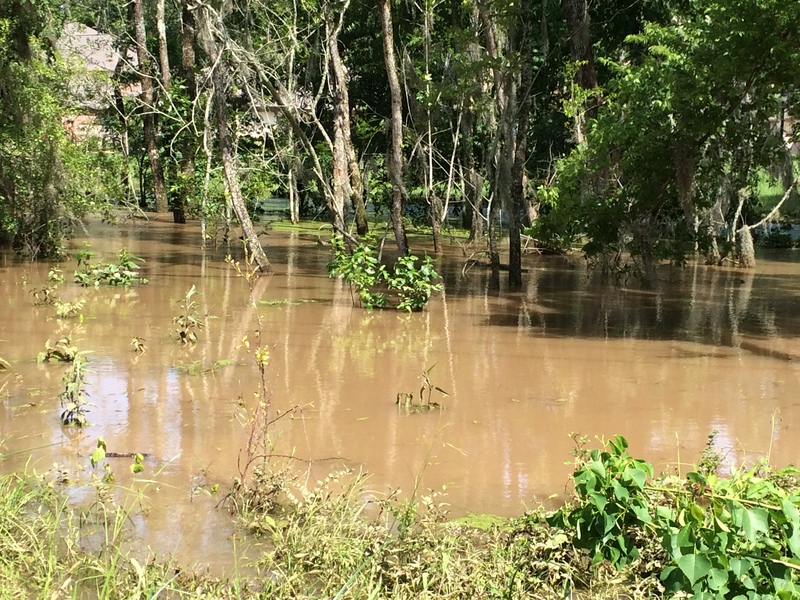 It was hard to tell just how deep the water was, and I had a fleeting thought about crossing that little road to get a photo of the other side of the bayou. A very fleeting thought. 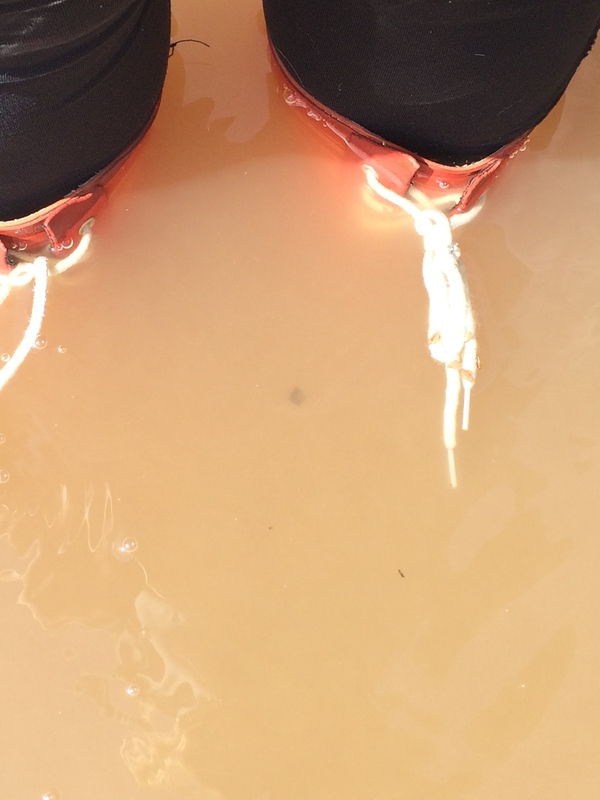 Several steps in, the water was halfway up my boots. A few more steps, and the water was coming in my boots. My beloved bayou was flooded. I wondered what this meant for the wildlife we love to observe just beyond our back gate. 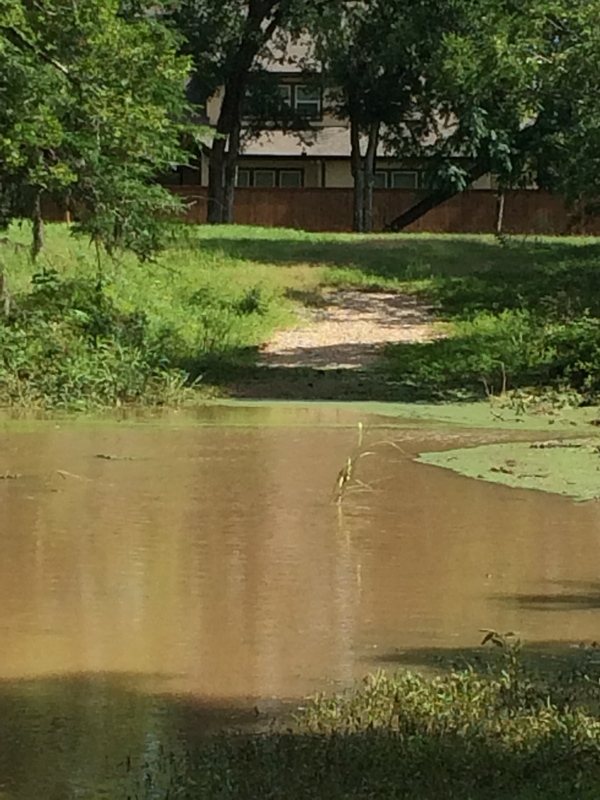 No sooner did I wonder when I heard a splash and saw a young deer swimming across the bayou. I watched to make sure she got across safely and made a mental note to throw some kale and dried corn over the fence for her. The lush foliage and wild berries she normally nibbles on were washed out. 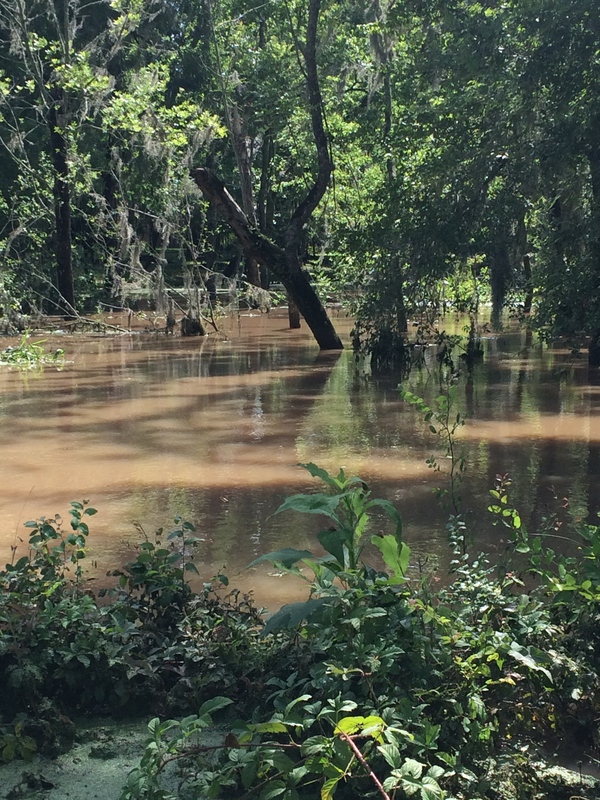 A parting shot of my bayou after the big storm is quite serene and lovely, despite the epic rain.